NEWLY-RENOVATED! 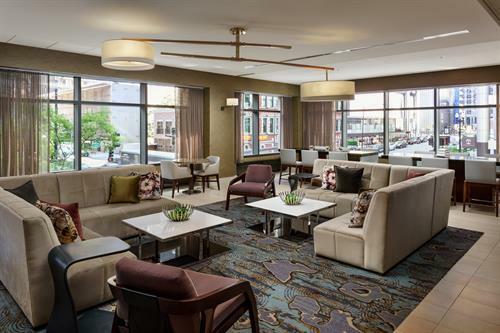 Standing 27 stories tall in the heart of Chicago's thriving River North neighborhood, our newly-renovated hotels are surrounded by top-rated attractions and offers the trusted Marriott experience but with a new twist. 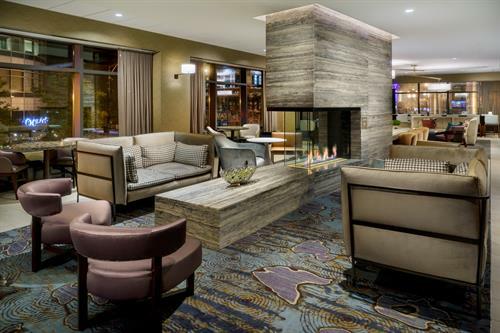 We're proud to announce our new onsite bar, Holloway's, which is located off our lobby and overlooks the bustling city. 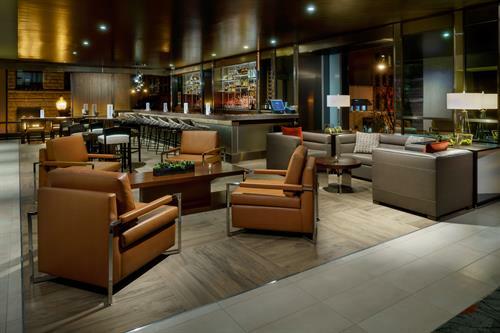 Enjoy craft cocktails and a small plates menu sitting in one of our many tech-enabled furniture pieces or near the cozy fireplace. 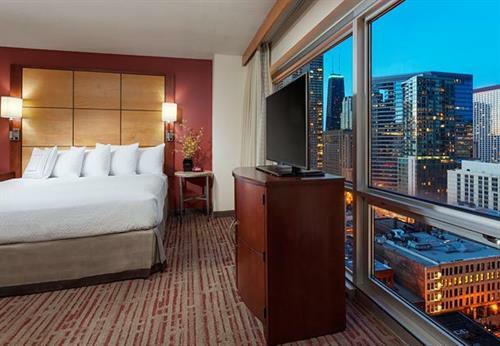 We’re rated as one of the top hotels in downtown Chicago for our location just blocks away from the Magnificent Mile, the Theater District, Northwestern Hospital; and nearby Millennium Park & Navy Pier. 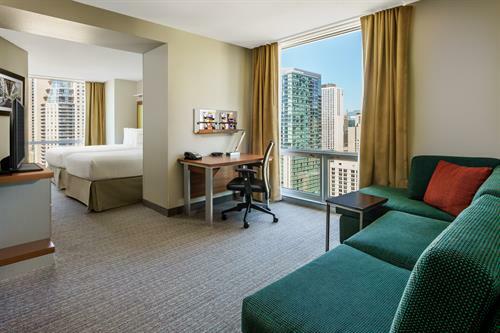 Our refreshed suites offer free WiFi, separate living spaces, convenient kitchenettes with mini-refrigerators and microwaves and, of course, stunning city views. 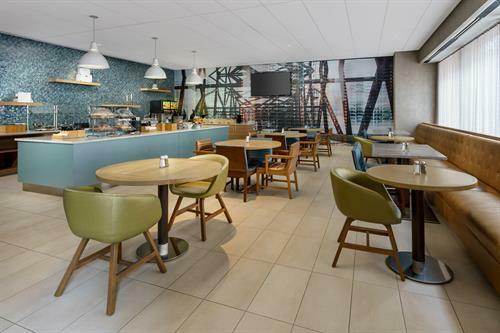 Start the day at our free breakfast buffet, get a nightcap at our brand new bar, or head to the top floor to use popular indoor pool.